Always fancied running but don't know where to start? take the Ilkley Harriers Zero to 5K Challenge! 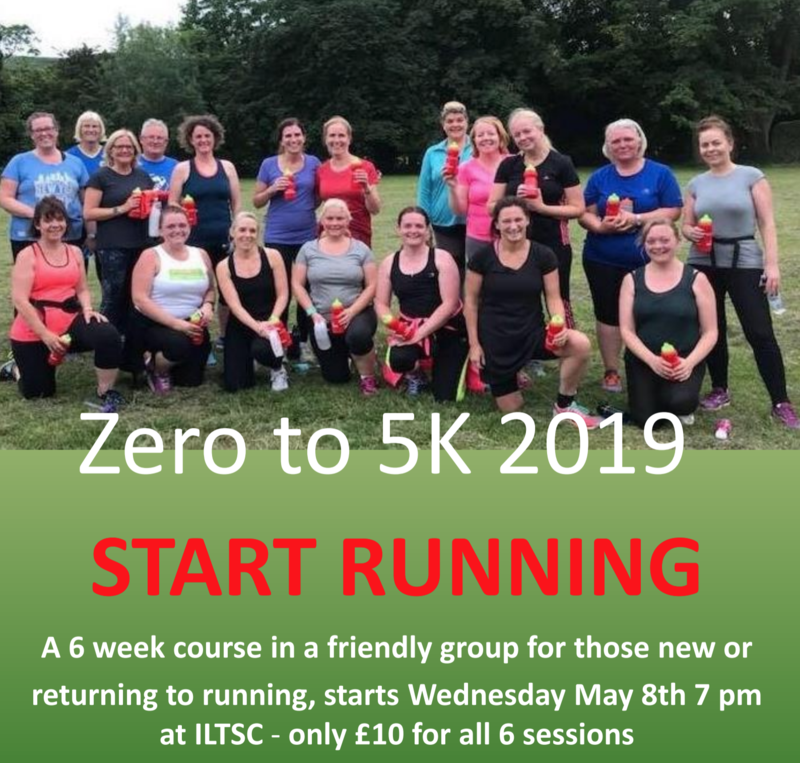 Starting Wednesday May 8th 2019, Ilkley Harriers are running our six week beginners running course again. The aim of the course is to introduce others to the joys of running and show that everyone can run and enjoy it! Hopefully over the 6 weeks you will have a gentle introduction to running and the opportunity to make new friends. This is a beginners' course, and is specifically designed for those who have never run before, or very little. We will start you off very gently and build up. Starting Wednesday 8th May 2019 at 7pm (sessions will last around an hour). Meet in the bar of the Ilkley Tennis Club, the sessions will be run either on the Tennis Club field or in the park. The sessions will be devised by a qualified coach and led by experienced run leaders. Cost: £10.00 for all six sessions. The fee will be donated to the Upper Wharfedale Fell Rescue Association. You don't need any expensive kit, just some comfortable clothes and a pair of trainers. After the 6 weeks there will be an improvers' group to join if you want to keep building up your running. We will not meet during half-term (May 29th ) so the last session will be on June 19th. Please register for the course on-line by clicking here. Please select the "0-5 K Challenge" option. After registering your details you will be directed to GoCardLess to make your payment as a one- off Direct Debit from your bank account, so please make sure you have your bank account details to hand. Please get in touch with mship@ilkleyharriers.org.uk in case of any problems.